is an independent group of individual Dartmoor farmers who practice traditional extensive farming methods and market their meat direct to the consumer. Dartmoor in Devon is a truly beautiful landscape, stretching from the wild open moorland down the hills to enclosed farmland and river valleys. Without farming, the landscape and its wildlife would look very different than it does today. Dartmoor farmers help keep the landscape accesible for all. Beef has traditionally been extensively reared on Dartmoor using the suckler system, where the beef cows calve once a year and calves remain with their mothers for at least six months. 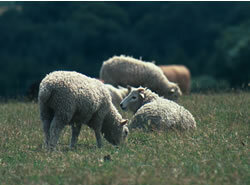 Lamb is produced in a very similar way allowing a natural relationship between mother and offspring. We can offer Devon beef reared on the wilds of Dartmoor. Traditional native beef and sheep breeds are predominantly used and are ideally suited to the harsh Dartmoor climate and vegetation. They are renowned for their quality of taste, texture and finish. In order to conserve the special character of Dartmoor it is essential to retain traditional hill farming practices, including the rearing of livestock in the hills. 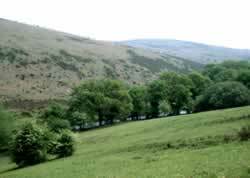 The future of Dartmoor will therefore always be heavily dependent upon a viable and buoyant hill farming economy. By buying meat direct from the Dartmoor farmer, whose animals help to create and maintain the Dartmoor landscape and biodiversity, you will be playing an important part in helping to conserve the special qualities of Dartmoor. Dartmoor National Park now produce a "Farming Matters" brochure about farming on Dartmoor and current issues which is available at Information Centres (for locations see www.dartmoor-npa.gov.uk/index). All the Dartmoor farms in this leaflet sell their goods direct to you, the customer. You can be assured of the traceability and high standard of welfare involved in producing the meat you purchase. By buying direct you know that the farmer is receiving a fair price for his produce. Breeds of cattle and sheep vary from farm to farm so please ask. All the Dartmoor farmers featured in this website welcome people onto their farms (some even offer farm walks, see Events and Markets) though, for reasons of safety, visits must be by prior arrangement only. However you can walk via footpaths and bridlepaths through much of the landscape on which the animals are raised at your own convenience. How much space does the meat take up in your freezer? Approximate guide - 3 kg is equivalent in size to a loaf of bread. Remember all animals are different, so size of joints and cuts will vary! Discuss your requirements with the supplier.